Description: Looking northwest from intersection of Waco and Thirteenth Street. Dillons in foreground; the tower of Wichita High School North just visible in the background. 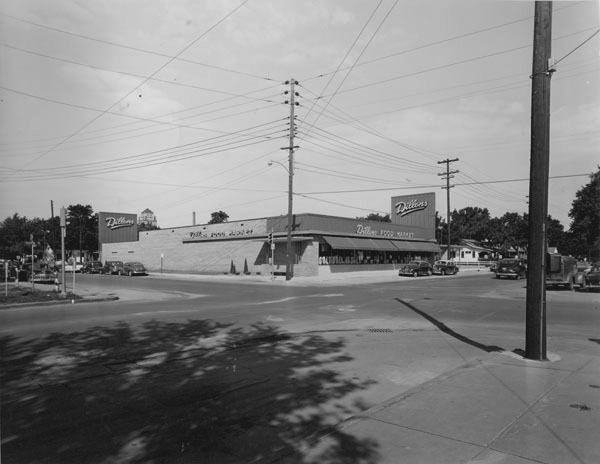 Keywords: Business and industry, street scenes, transportation, automobiles, residences, grocery stores, Wichita. 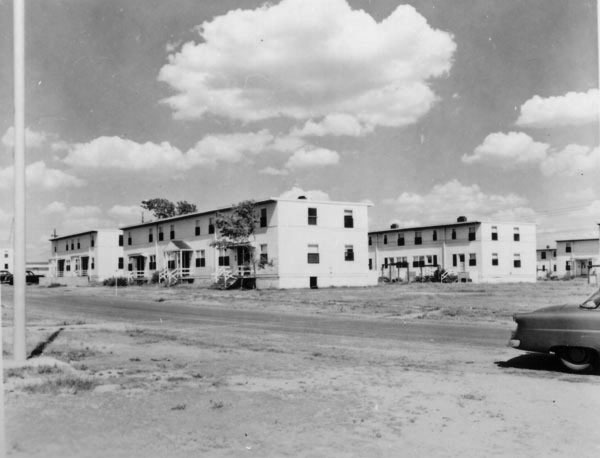 Description: View of housing units in either Planeview or Beechwood, two of three developments built by the Federal Public Housing Authority during World War II. 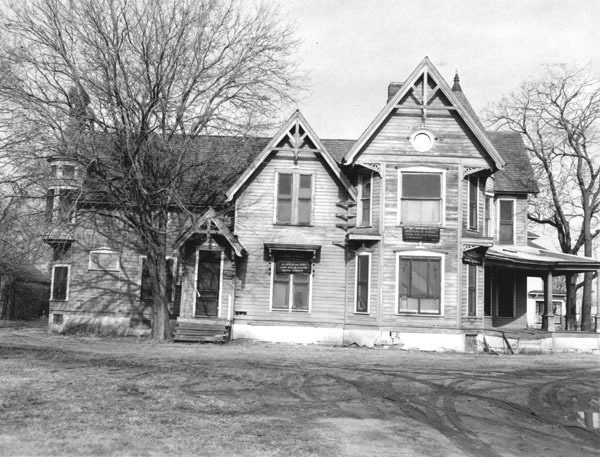 The first, Hilltop Manor, was constructed in 1941. Planeview and Beechwood, plus a Trailer Park, were built by 1943 as Wichita struggled to provide adequate and wholesome homes for the thousands of workers arriving in the city to work in the aircraft industry. The government designed these ‘minimal houses’ as four-rooms-with-bath units in structures for single- or multiple-families. Keywords: Wichita, aviation, military, public services, residences, street scenes, WW II, apartments. 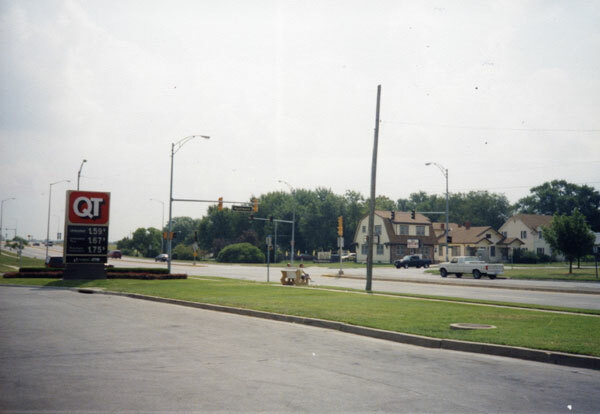 Description: A typical 1950s era neighborhood in Wichita, the 200 block of North Bleckley is shown here. View is looking south from East 2nd Street. Keywords: Wichita, residences, street scenes. Description: View looking west toward "Holiday House by Woodbury," 2425 North Yale Street. 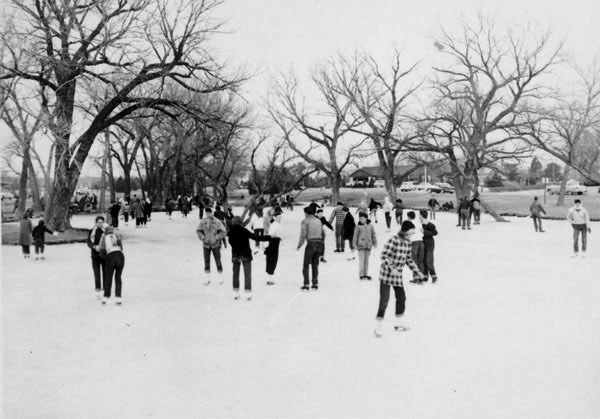 Description: View of teenagers skating on pond located on the northeast corner, intersection of Kellogg and Woodlawn. Keywords: Sports and recreation, parks, winter, automobiles, residences, clothing, fashion, Wichita. Description: View of Dymaxion House and addition. Designed by Buckminster Fuller and built by Beech Aircraft Company, the home was owned by William Graham and sited on acreage southeast of Wichita in rural Butler County, Kansas. Building was donated to the Henry Ford Museum in early 1990s and has been restored. 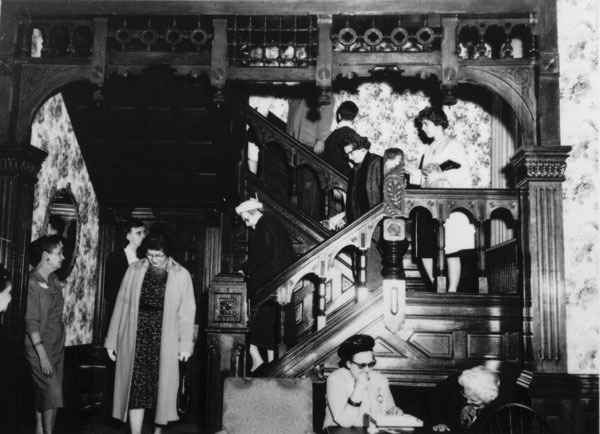 Description: Interior of “Kirby Castle” at 1201 West River Boulevard during a public tour of the residence. Built by J. O. Davidson, 1888. Keywords: Residences, homes, domestic scenes, furniture, Riverside, Wichita.